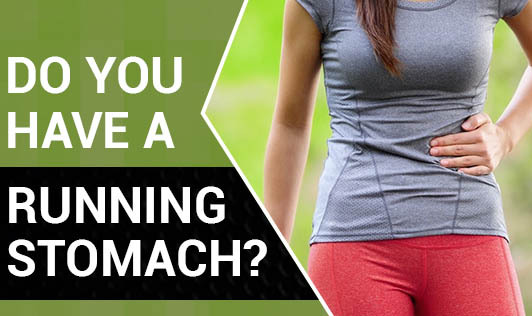 Do You have a Running Stomach?? Isn't diarrhea inconvenient and unpleasant? Does it not get on your nerves especially when you are rushing somewhere; your stomach grumbles and you have an urge to empty your bowels? A few harmful bacteria wreak havoc on your digestive system causing diarrhea.. These tiny bugs fertile on foods like fatty cuts of meat, and buttery or creamy desserts, sodas, candy, fruit juice, and pastries. Chewing too much sugar-free gum made with sorbitol also causes diarrhea as our body cannot digest sorbitol. Viral infections that cause diarrhea are spread through contaminated food, utensils, unwashed hand and sharing drinks and these are highly contagious. Travelers' diarrhea is a common medical problem for people who travel from developed countries to developing countries; commonly caused by bacteria in water that is contaminated by human or animal stools. The other causes of diarrhea include high dosages of laxatives, certain antibiotics or irritable bowel disease, Crohn's disease, food allergies and celiac disease. • Diarrhea leads to dehydration. Make sure you keep yourself well hydrated. • Say no to milk, high fat, spicy foods, fruit juices or salads especially from outside. • Treat diarrhea with probiotics. The best form is yogurt and buttermilk Bacteria in yogurt help keep the intestine healthy. If you aren't sure of the cause for diarrhea or if it doesn't settle with the above tips, give your Doctor a call and meet your Dietitian for the right diet!